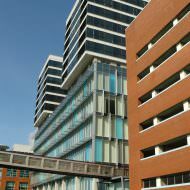 A fifteen-storey office building designed by Broadway Malyan for Ewart Properties. 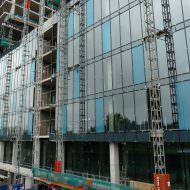 The building comprises 135 basement parking spaces, 100,000ft2 of office accommodation across the lower five floors and and 90,000ft2 of office accommodation across the upper seven floors of the two towers. 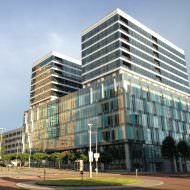 The towers were initially designed for residential use (104no. 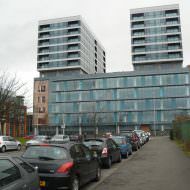 apartments). 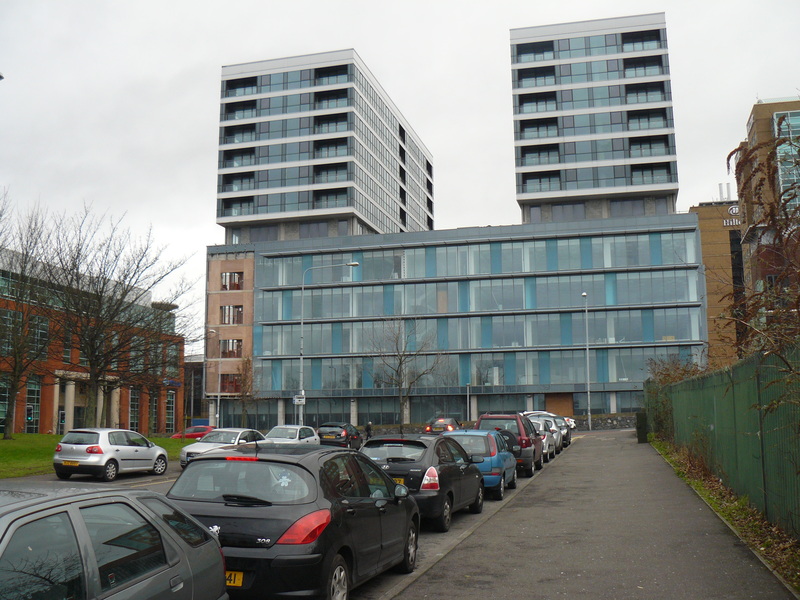 Planning permission was granted for Lanyon Plaza in April 2007 and construction commenced in August 2007. 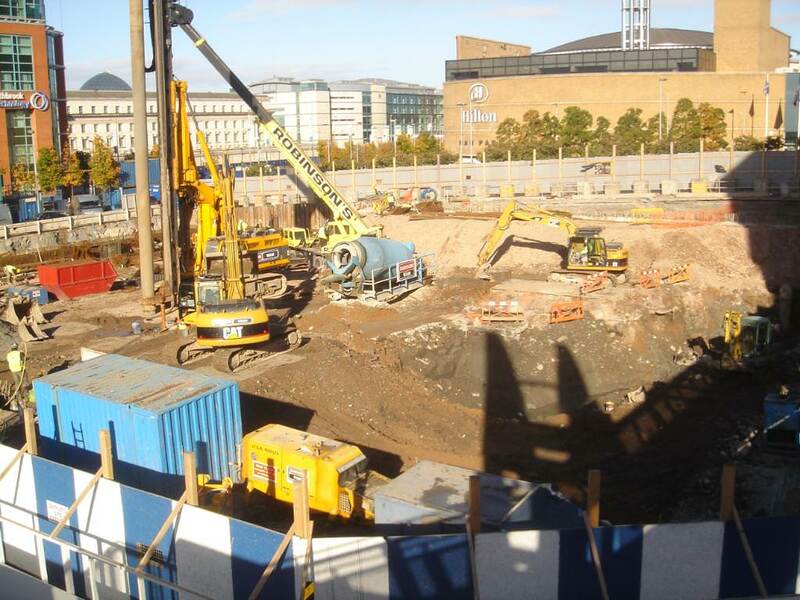 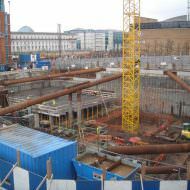 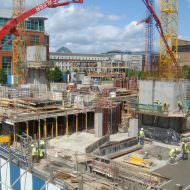 Piling and basement works were completed by spring 2008 and by June 2008 the building was at ground floor level. 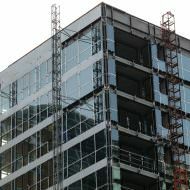 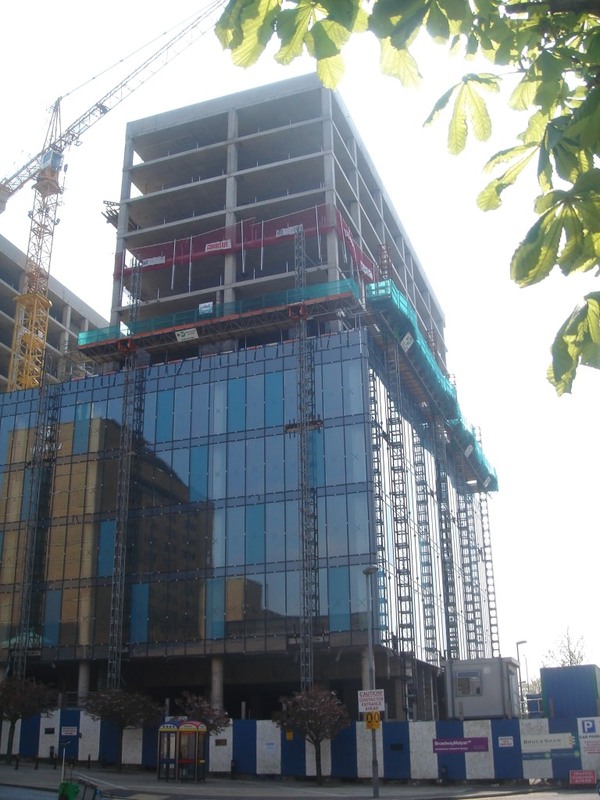 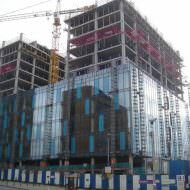 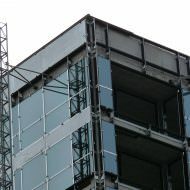 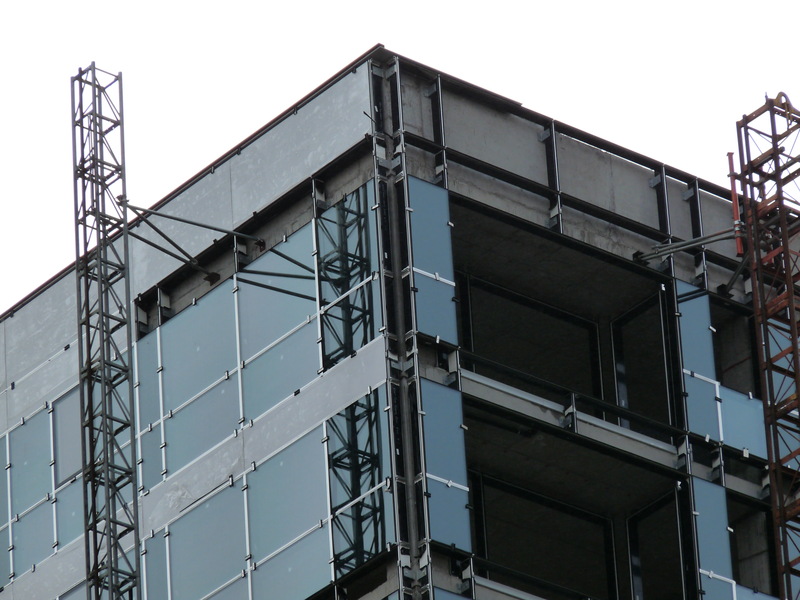 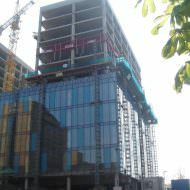 By the end of summer 2008 the concrete frame of the building was completed and preparations were being made for the glazing to be installed. 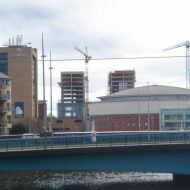 Construction of the two towers began in autumn 2008 and the concrete frame of the two towers was fully completed by April 2009. 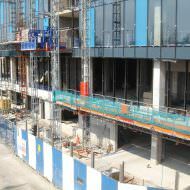 At this stage the glazing to the main building was substantially complete except for the basement / ground floor level. 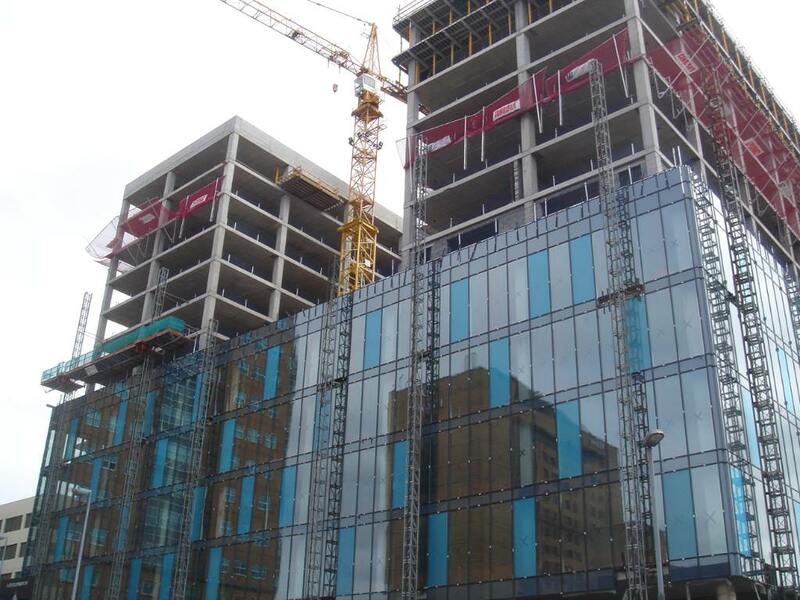 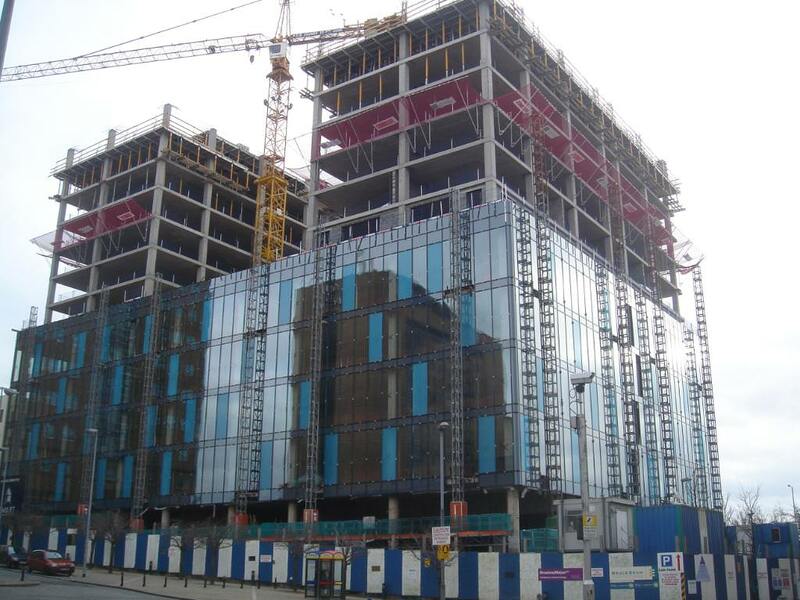 Glazing of the two towers commenced by the end of summer 2009 and was completed by the end of 2009. 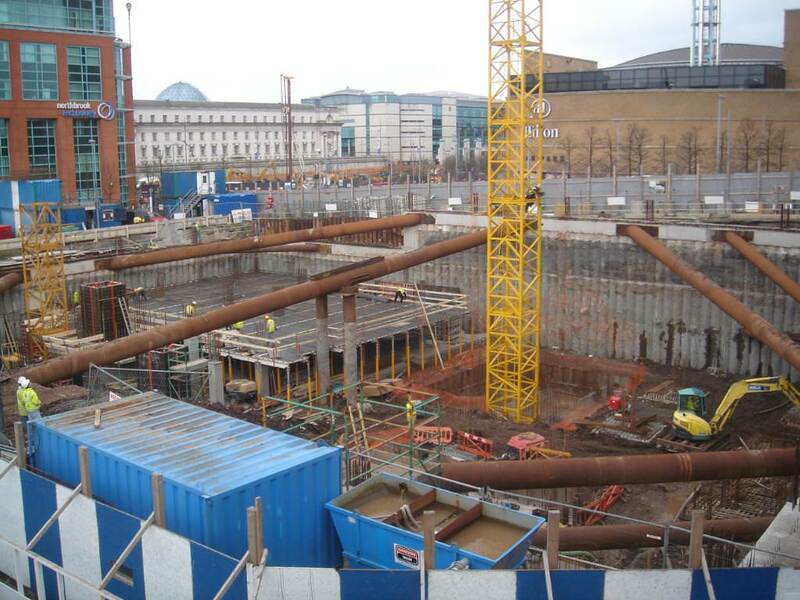 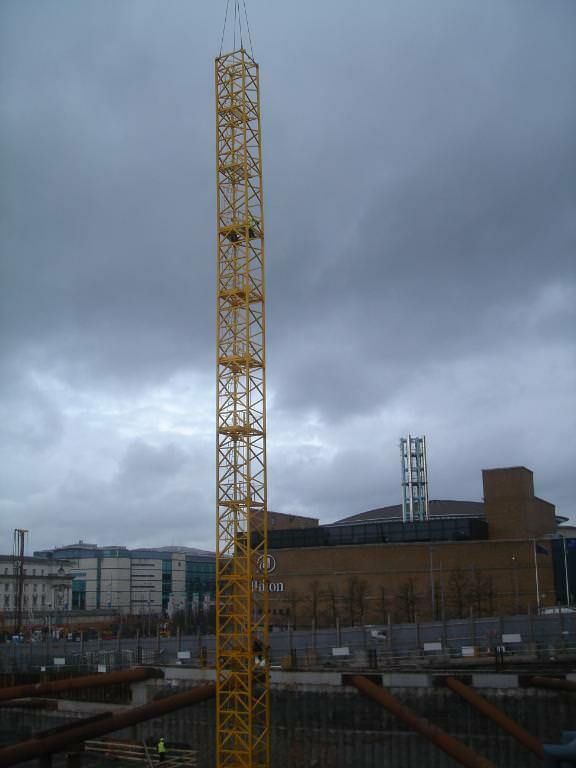 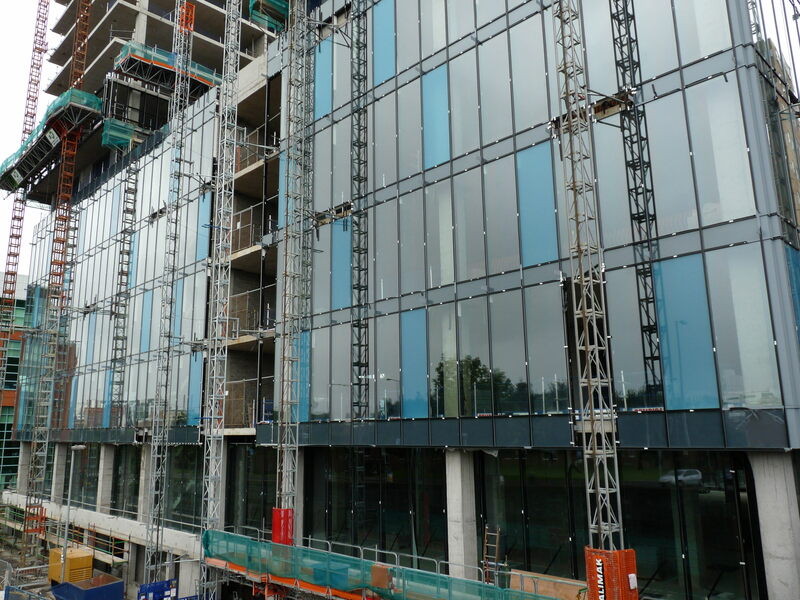 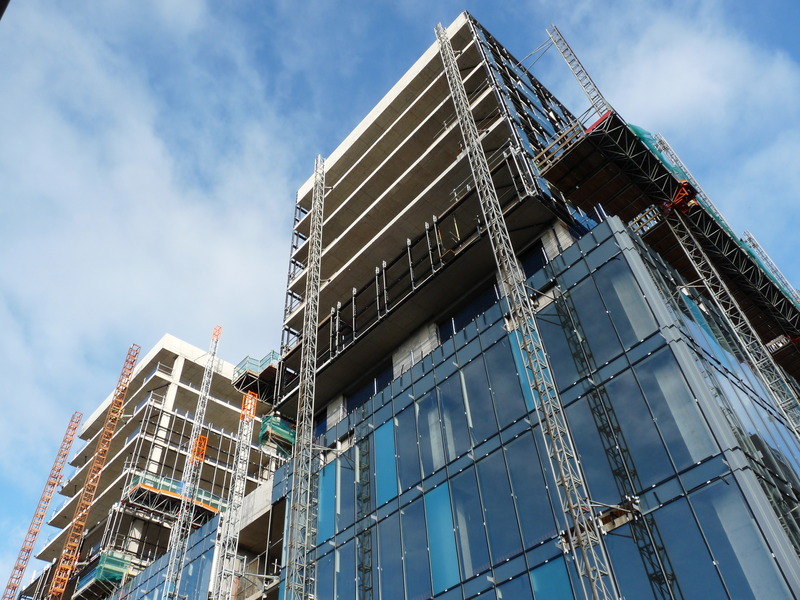 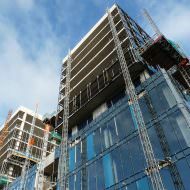 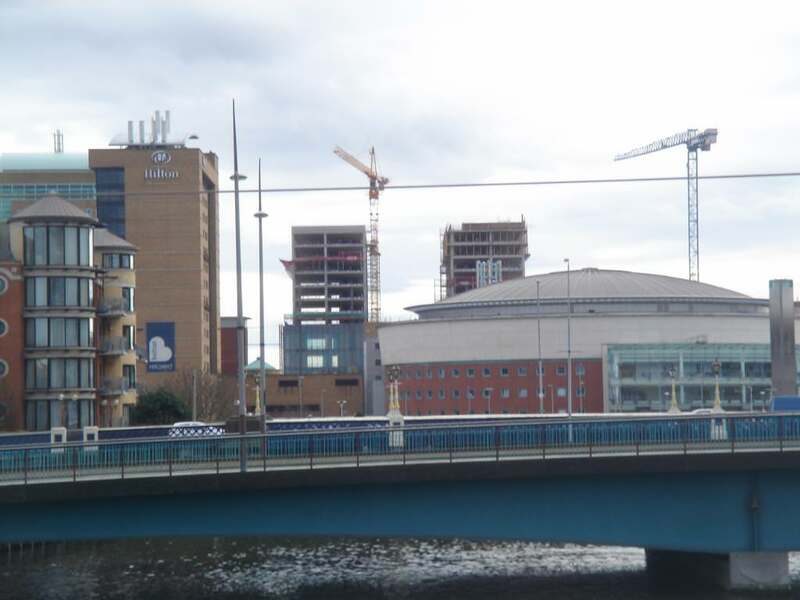 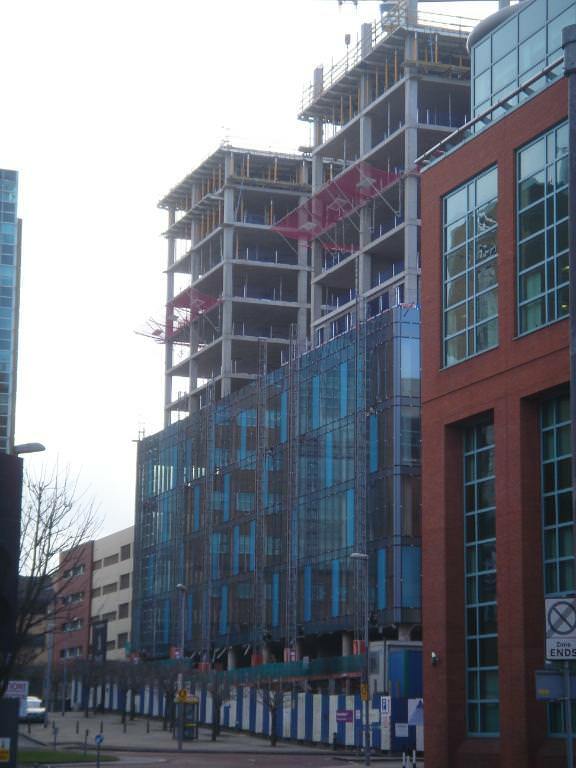 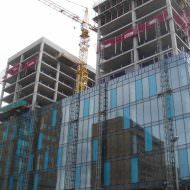 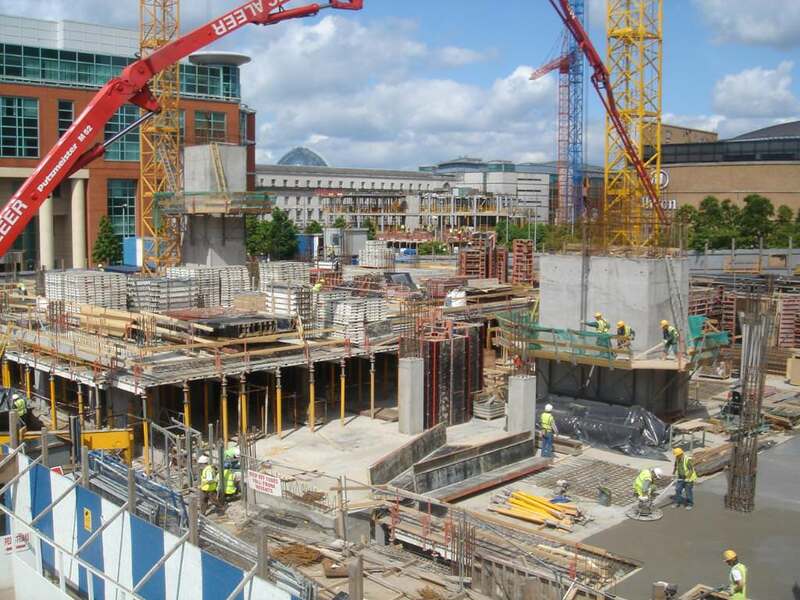 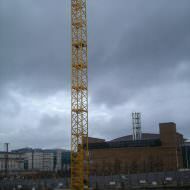 Construction work ceased on site from January 2010 until June 2013 when it was announced that the National Asset Management Agency (NAMA) would provide £15m to complete the The Soloist and Lanyon Plaza buildings. 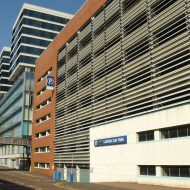 In July 2013 it was announced that Land & Property Service (previously based at the Lincoln Building, Great Victoria Street) would occupy the entire office element of Lanyon Plaza. 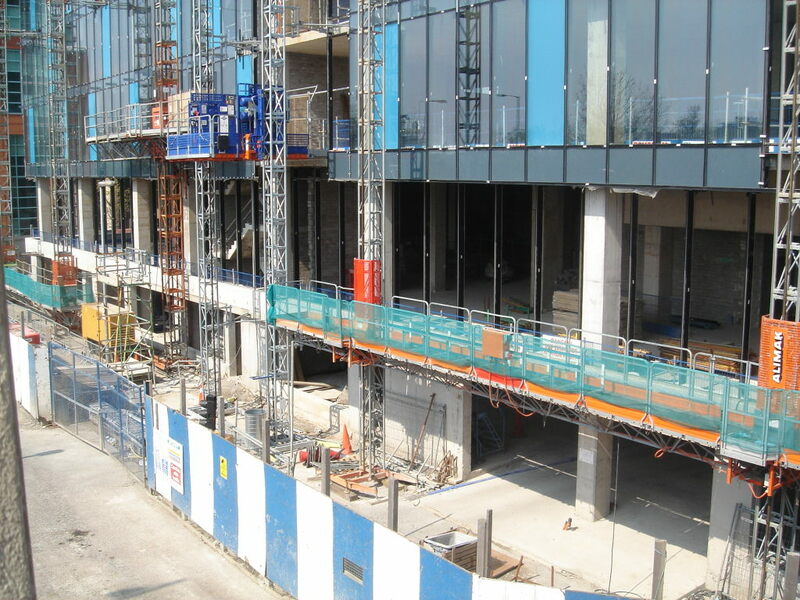 In January 2014 William Ewart Properties Ltd submitted a planning application (Z/2014/0076/F) to change the approved retail / restaurant unit at ground floor (north-west corner) to office use. 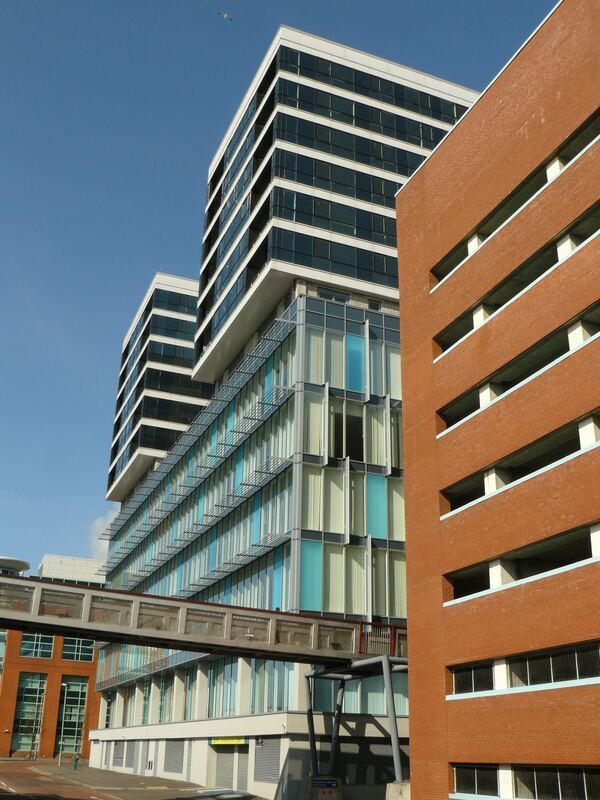 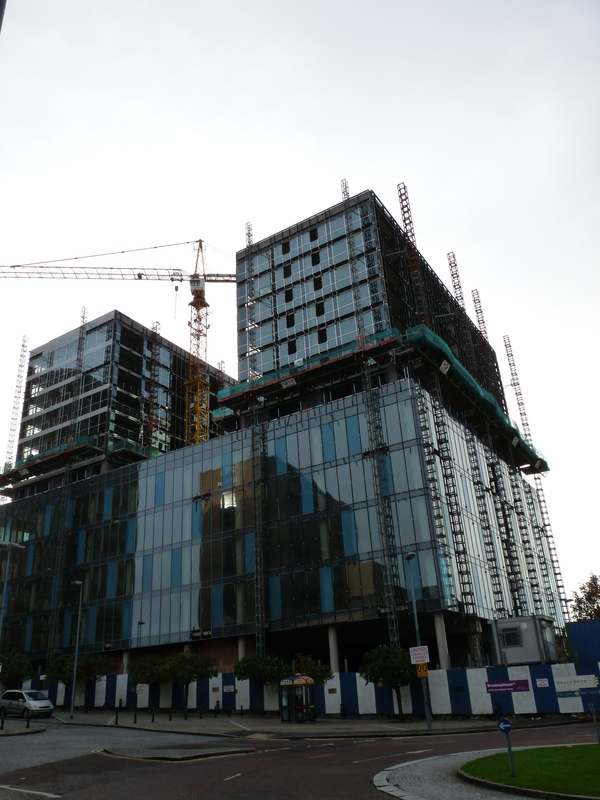 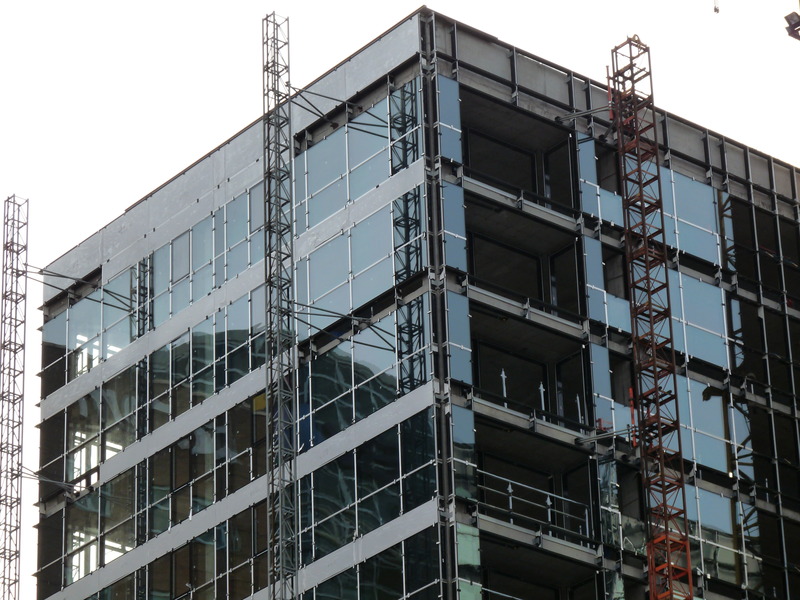 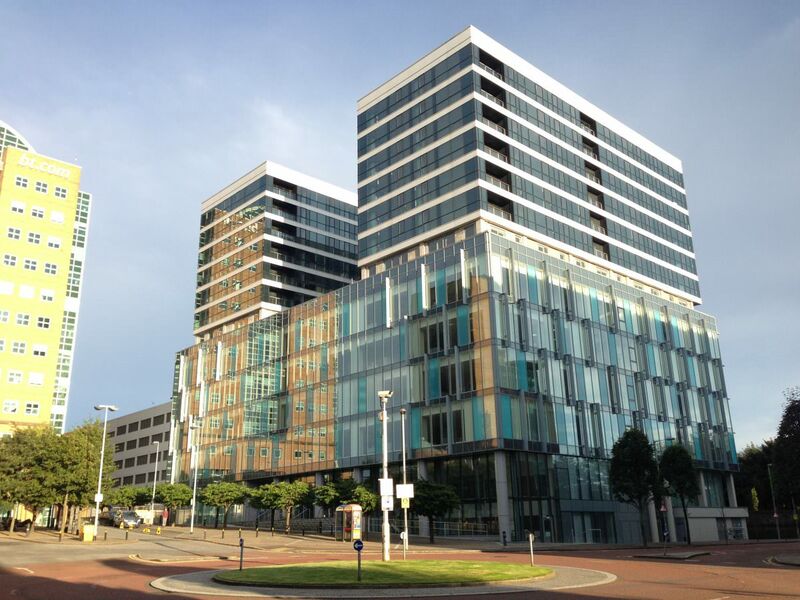 The office element of Lanyon Plaza was completed between June 2013 – May 2014. 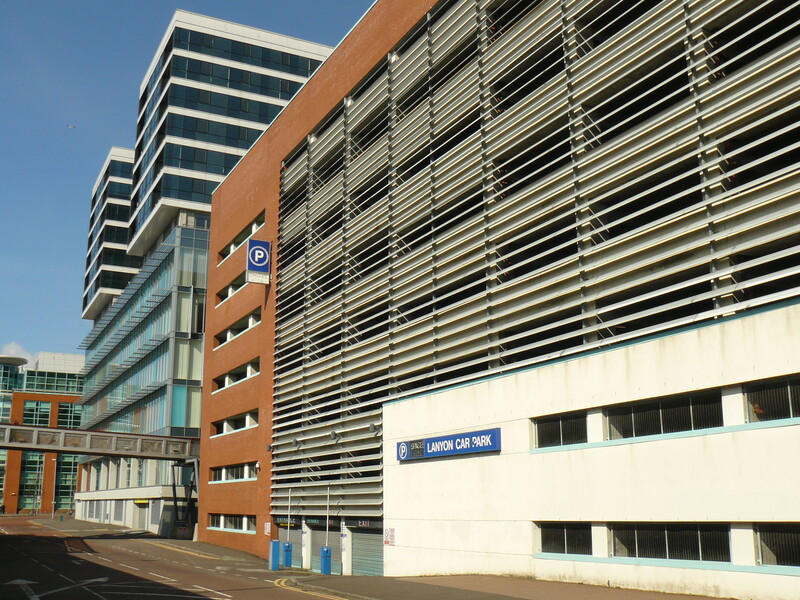 Land & Property Services (LPS) relocated to the building during 2014/15. 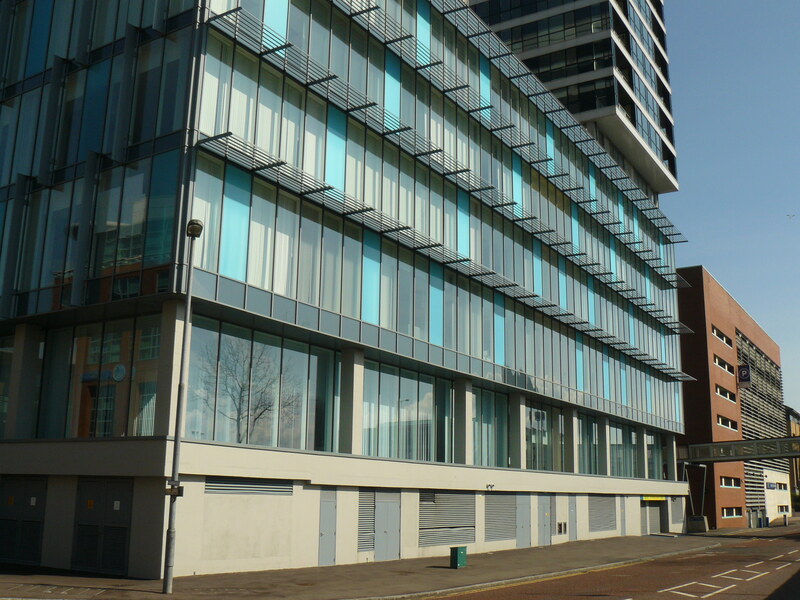 Oxford Street Capital Ltd and WDR &RT Taggart Architects submitted planning applications (LA04/2016/2541/F & LA04/2018/2902/F) in November 2016 and December 2018 proposing to change of use of the West Tower and East Towers (5th – 11th floors) from residential to office use. 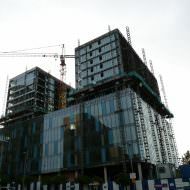 The applications were approved in June 2017 and March 2019 respectively. 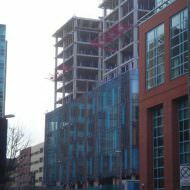 The West Tower is now fully let and Tracey Brothers and J.D.McGeown Ltd have been appointed to fit-out 7 floors for office use. 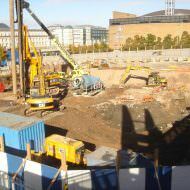 Works are expected to be completed by late 2019. 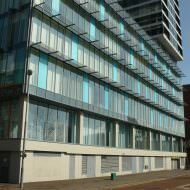 The East Tower is being market for office accommodation (41,000ft2) by Lambert Smith Hampton.